Never Make a New Year's Resolution Ever Again! I am big on goal setting. And having an action plan. And I love my to-do lists. But I can’t stand New Year’s Resolutions. I used to make them every year. Sometimes a whole bunch of them: This year I will work out every day. This year I will lose 10 lbs. This year I will get straight A’s. This year I will write my weekly blog regularly without missing a week! You get the picture. Here is what I discovered about myself. I don’t have enough resolve to keep to my New Year’s Resolution for an entire year. In fact, on average, I have about 2 weeks of resolve. That is it. Sound familiar? Perhaps you can relate. Maybe not to the same excuses, but your version of them. Who needs that kind of guilt? And who needs to set themselves up for failure like that? 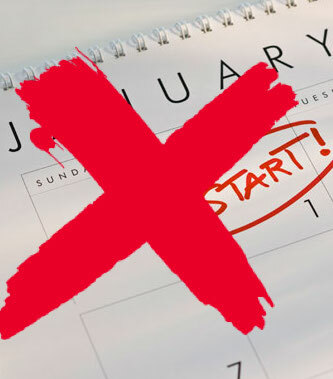 The reality is that New Year’s Resolutions don’t work for the vast majority of people. So at our house, a few years ago we decided to make commitments to an ideal for the year. Typically, on New Year’s day at dinner we have some reflective time and we choose a word that will be our focus for the year. The entire family does it. Even my 8-year old is involved. Truthfully, he does it better than the rest of us. He picks something simple and goes with it. Last year his word was “Self-Control”. He realized that he was having too many temper tantrums and wanted to let go of them and so, on his own accord, he chose this word. Every family member picks their word, and one significant goal for the year. Last year my 12-year old daughter chose completing a triathlon as her goal. Then we create a poster for them with the word, their goal, and some inspiring quote or scripture and we post it in their bedrooms (mine is in my office). That way we see it every day. Last year my word was “Discipline.” Every time I walked into my office I saw the poster and was reminded of my commitment to this concept for the year. And it worked. I have likely never been more disciplined than I was this past year. But not to just one thing. Just more disciplined all round. This year it will be “Focus”. What will your word be for the year? I would love to hear. Let me know what you decide to commit to this year. It helps to share it. Having a growth mindset is the key to success in any area of life. Join us for the latest workshop in our “By Design” series, Think By Design. Dr. Craig Dingman will explore the role of positive mind habits and their effects on health. You can register for the January 17th workshop by clicking here.